This is a journey of collaboration which began in January 2000 with a phone call. 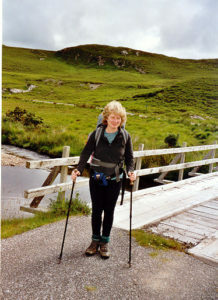 This was followed by an e-mail exchange which became a dialogue leading to first to a book, then to innovation courses and a conference and now to OutdoorGearCoach : a most journey indeed. I personally don’t believe the conventional wisdom. I think that the gear that they had was actually good in some cases (where they researched well) but you may NOT want to go down that path. Eg convention says old products were very heavy, but lightweight camping existed in 1900. They were able to camp with enough for a weekend in their jacket pockets. You see textiles were incredibly diverse around 1900 and there was so much choice. But 70 years later our perception of what was being used is incorrect. We live in the ‘knowledge world’, but forget totally how much lost knowledge there is’. This extract, from Mike’s first email to me, was the spark on which our research collaboration is based. I had initially contacted him to see whether, as the past owner of Karrimor, he would agree to being interviewed for the new research project I was planning, on the history of outdoor clothing and equipment. I had sent a fairly conventional introductory overview called ‘From Norfolk Jacket to Hi-Tech’. Had he responded by talking about unremitting technical progress, or about the way his own innovations had improved on the old gear, I would have been interested I am sure. But it would not have set me thinking and questioning or started a dialogue that led to a joint book, a conference series, to courses in innovation or to a Heritage Lottery Bid (on behalf of Mountain Heritage Trust) to test and replicate the 1924 Mallory Everest Clothing. A great love of the outdoors led her to the inspirational idea of writing the first history of innovation in outdoor products. By chance her first call was to Mike Parsons to request contact names, an interview on Karrimor and advice on the outdoor trade. This rapidly developed into a collaborative partnership around the book was agreed in May 2000. After meeting for the first time some weeks later joint authorship was agreed. 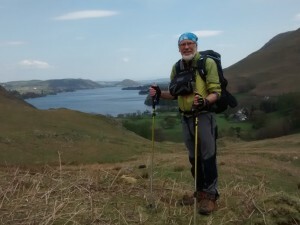 Mike Parsons has spent over 40 years in the outdoor equipment trade. Formerly Managing Director of Karrimor International – a company with 320 employees – he now runs OMM Ltd ( formerly KIMMLite) a specialist in lightweight outdoor gear and is an Entrepreneurial Fellow in the Institute for Entrepreneurship and Enterprise Development at Lancaster University Management School. His factory experiences are world wide including China, Taiwan, Japan and Korea. He undertook study visits to the USA via a business network of CEOs and absorbed the lessons of lean manufacturing from HP, Apple, Millikin, Motorola and the Toyota/GM joint venture before applying them to his own factory. This resulted in a ‘Management Today Best factory award’ – runner up prize in 1994. His iconic product designs include, the Karrimat, Whillans and Haston Alpiniste, KSB’s, Jaguar SA, Hot Ice and Hot Earth. He held 42 patents and a dozen or so brand registrations world-wide. This has been and continues to be an unexpectedly very exciting new direction for me late in my career. Being able to reflect and analyse my own innovation career within this academic discipline, means the deeply satisfying possibilities of passing on what I have learnt to the next generation. Our first book, Invisible on Everest: Innovation and the Gear Makers was published on May 2nd 2003 in time for the celebration of the 50 years since the first ascent of Everest. 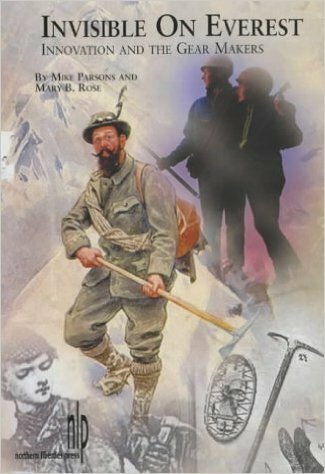 Invisible on Everest: Innovation and the Gear Makers was the first book on innovation in methods and equipment for mountaineering and polar exploration. Before the book launch we gained a £30,000 Heritage Lottery Fund grant on behalf of Mountain Heritage Trust to replicate the clothing that George Leigh Mallory wore for his summit bid in 1924. The work involved analysis of the textile fragments found in June 1999 by the 1999 Mallory & Irvine Research Expedition on Mount Everest. The Mallory clothing layers were unveiled at the September 28, 2005 Clothing for Extremes Conferences. The replicas were tested up to 21,000 feet on the Rongbuk Glacier, by Graham Hoyland, great nephew of Howard Somervell one of the 1924 Everesters. Our work continued with joint research on innovation in consumer products (complex assemblies including: automobiles to TV’s to PC’s and cell phones ) and the result was an award-winning course at Lancaster University. March 2014 Chris Townsend, Tom Richardson, Jane Turnbull, Chuck Kukla and Marian Parsons join OutdoorGearCoach team. April 30 2008 Innovation for Extremes: Innovation in the Context of Global Warming,Lancaster University Management School. September 26 2007 Innovation for Extremes Conference, What is Innovation, Lancaster University Management School. September 27 2006 Innovation for Extremes Conference, Lancaster University Management School. July 2006 Mallory Myths and Mysteries: The Mallory Replica Project by Mike Parsons and Mary Rose published by Mountain Heritage Trust. April 2006 Graham Hoyland field tests Mallory Replicas to 21,000 feet on Everest. March 2006 Mary Rose gave her lecture “Innovative Connections: Academic Analysis and a Personal Journey” at Lancaster University Festival of Ideas. This includes the story of her collaboration with Mike Parsons. February 2006 Invisible on Everest: Innovation and the Gear Makers, awarded the 2005 Design History Society Scholarship award. June 2005 University teaching award – for teaching innovation through innovative teaching on a research led course which we co-designed an co-delivered. December 2004 Invisible on Everest : Innovation and the Gear Makers, runner up for Wadsworth Prize for best book in business history in 2003, for its innovative approach. October – December 2004 innovation course run for the first time by for both undergraduates and postgraduates at Lancaster University. September 2004 – Second annual Clothing for Extremes conference with Pertex as sponsor. September 2003 First Clothing for Extremes Conference, sponsored by Pasold Research Fund to report on the Mallory project. Conference greeted with acclaim and decision made to make annual. May 2003 – our book launch – Mary B. Rose awarded a ‘personal chair’ becoming Professor of Entrepreneurship. April 2003 – Heritage Lottery Fund grant for the Mallory project. July 2001 – The Mallory artefacts appeared at Rheged the National Mountaineering Exhibition. These provided the inspiration for the research for the replication project. April 2001 – Research for the Rheged based National Mountaineering Exhibition on the technologies which led to success on the 1953 Everest expedition. May 2000 Agreement between Mary Rose and Mike Parsons to collaborate. January 2000 discussions on book between Mary Rose and Mike Parsons began.